When Rhys Stone lays eyes on Ana again, there’s no doubt in his mind that the fire between them still smolders. He’s willing to do just about everything to convince her that they’re good together…except tell her the truth about what he’s been doing during their time apart. I have read many of the books in the series, and enjoyed them all. This one is quite different as the Hotel is a setting, but really nothing more than that. The leads are guests there, not otherwise associated with the Total brand. It is a really rather good romantic suspense, which has an interesting twist. I was minded to think of bits of Entrapment, but it was much richer than that in its romantic elements and ethical stance. Ana has good reason not to trust people, and it turns out that Rhys maybe should not be trusted ever again. However, he works hard to prove himself worthy of her, and a future together. He uses every tool he can to seduce and convince her. Definitely a good story, and the perfect length. 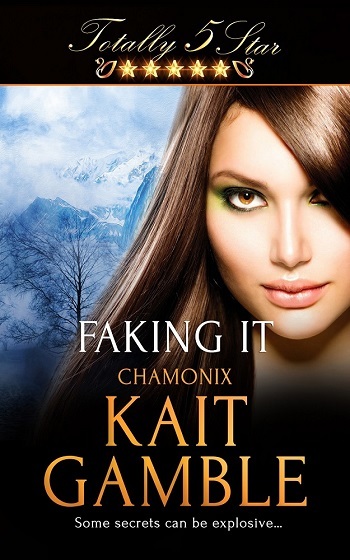 Reviewers on the Wicked Reads Review Team were provided a free copy of Faking It by Kait Gamble to read and review.